This year’s winter campaign focused on the suffering of victims the recent earthquake in Kermanshah. We were deeply moved by the amazing generosity of our supporters. Here is a round up of the fundraising activities and how the substantial amount of money raised so quickly, will be used to help some of those affected by the earthquake. Through our own online earthquake campaigns across Canada, Iran, the UK, and the USA, the proceeds from two Washington DC area fundraisers (The 2017 World Bank Community Connections Campaign and a special fundraiser that was organized by Iman Hushmand as part of Exclusively Entertainment’s 20th Anniversary Gala), plus a Vancouver fundraiser organized by Saeedeh Salem, we raised in total close to $35,000. 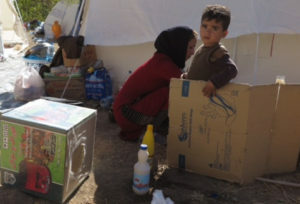 An initial OMID mission took one truckload of portable heater/cookers which were distributed in small towns in the outskirts of Kermanshah to those whose homes had been badly damaged or destroyed. 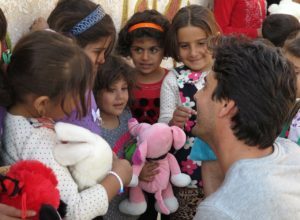 While there, OMID staff also played with children and gave out toys – helping to take their minds off their traumatic experience. 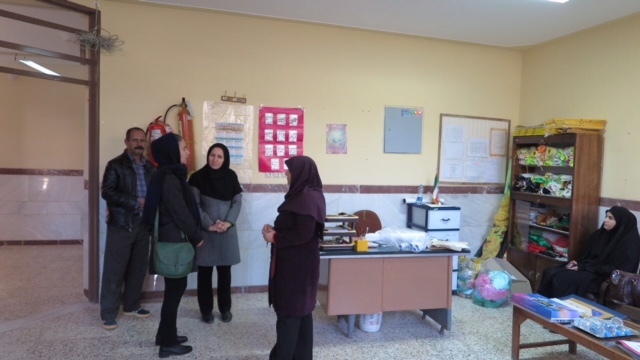 During a follow-up visit to the earthquake region by OMID’s founder, Marjaneh Halati, the decision was made to channel all subsequent aid through the Fatemieh Girls School in Kermanshah. The school building itself had suffered some damage, and many of the students at the school had also lost their homes in the earthquake. An initial batch of eighty winter outfits suitable for the harsh conditions of the Kermanshah region (consisting of a warm overcoat, snow boots, sweater, gloves, and socks) were dispatched as soon as Marjaneh returned to Tehran. After consultation with the school’s management, the decision was made to use the remaining funds to provide vocational training scholarships for five Fatemieh School graduates whose families had been badly affected by the earthquake. 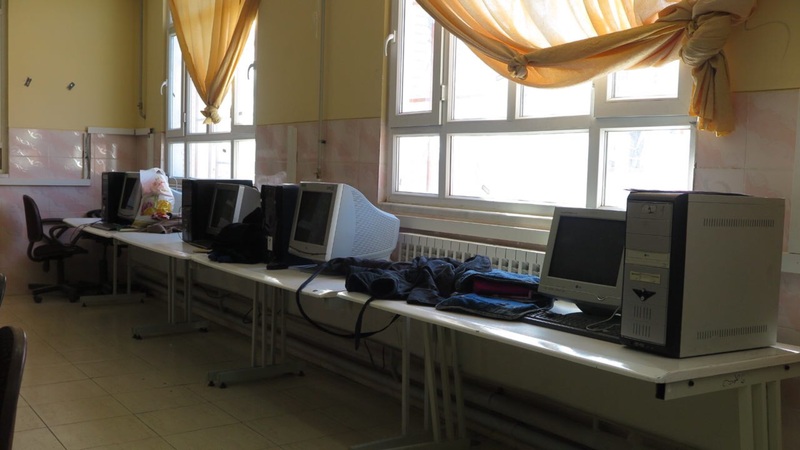 In addition to this ten desktop computers plus one printer/scanner for the school’s currently outdated computer room (pictured below) and four hundred books to replenish the school’s library. 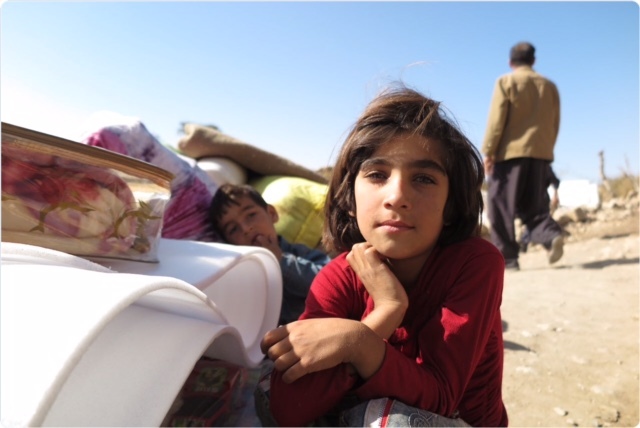 We wish to thank everyone from the bottom of our hearts for supporting our Winter Appeal and making such a difference to the lives of young women and their families in the Kermanshah earthquake area. EE 2018 from Kim Watson on Vimeo.